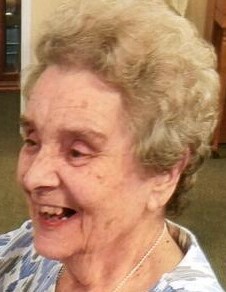 Bernice June Newman, age 87, of Bellefontaine, Ohio passed away at 9:04 A.M. Tuesday, January 15, 2019 at Campbell Place in Bellefontaine. She was born in Green Township Shelby County Ohio July 19, 1931, to the late Clarence and Gladys (Martin) Dorsey. On December 24, 1949, Bernice married Carl Homer “Sonny” Newman in DeGraff, Ohio, and he preceded her in death May 16, 2011. She was also preceded in death by her daughter-in-law, Brenda Newman; a sister and brother-in-law, Phyllis and Pete Rose; two brothers and sisters-in-law, Richard and Carolyn Dorsey and Wayne and Rosemary Dorsey and good friends, Bob and Edna Dix and Pat and Joan Wiseman. Bernice is survived by her daughter, Susan (Larry) Strayer; two sons, Steve (Sherry) Newman and Rick Newman; three grandchildren, Jennifer Johnson, Michael Craig Newman, and Derek Strayer; five great grandchildren; a sister-in-law, Betty Stryker and many, many nieces and nephews. Bernice retired from Fawcett’s IGA in DeGraff following twenty five years of service. She enjoyed doing crosswords, word searches, jigsaw puzzles, traveling, and most especially spending time with her family. The family will receive friends from 10:00 A.M. until 12 Noon Friday January 18, 2019, at the Daring & Sanford Funeral Home in DeGraff, where Pastor John Leighty will officiate the funeral service at 12 Noon. Burial will follow the funeral service at the Greenwood-Union Cemetery in DeGraff. Casual attire is requested by the family.